Rising expectations for quality, speed and sustainability in takeout and delivery food is a given across segments and channels today. Satisfying these needs is an ongoing challenge for operators in colleges and universities, healthcare facilities and other noncommercial food venues that serve patrons who are always in a hurry. After all, 35% of consumers, and 47% of those aged 18-34, say it is more convenient to order delivery than carryout, according to the Technomic 2016 Takeout & Off-Premise Report. Logic suggests that they expect speed and convenience when they order to-go food from a campus eatery or hospital cafeteria, too. 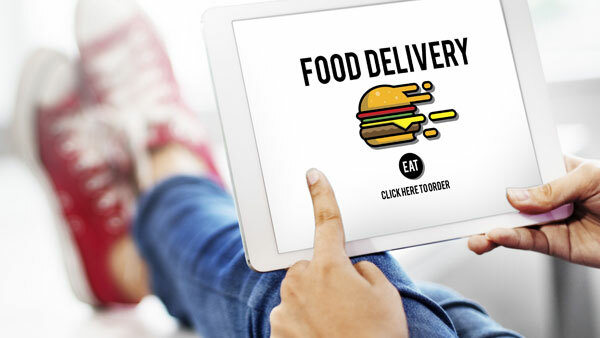 Other signs of the times are technological innovations that are changing traditional dining behavior, such as food delivery apps and third-party delivery services that partner with operators. Virginia Tech launched delivery on a dramatic new trajectory by teaming with a Google-affiliated company to experiment with delivering food by drones. According to the Technomic 2017 College & University Consumer Trend Report, 46% of college and university students’ meals are taken to go and 17% are delivered. At Rice University in Houston, retail food concepts in the Rice Student Center are geared to turn around orders quickly and pack them in sturdy, good-looking and sustainable to-go food containers. 4.Tac0, a scratch-based taco concept, features traditional Tex-Mex tacos and globally inspired creations, such as a Korean barbecued flank steak taco and an Indian taco with a tikka masala flavor profile on naan bread. Several types of packages were tested for holding properties. “We picked to-go containers that are vented, which stops condensation inside and keeps foods from getting soggy,” says Chef Johnny Curet, campus dining director of Rice, which has about 6,800 students. Another retail concept, @Sammy’s, with a fresh, scratch menu that includes deli sandwiches, salads and pizza, uses a variety of BPA-free, biodegradable, recyclable and reusable packaging. Operators looking to maximize product performance and incorporate biodegradable* eco-friendly packaging options should check out Vio® biodegradable* foam cups and containers. In fact, Vio is the lowest cost disposable cup of all the green options. Although Rice prefers that students eat in the campus serveries in community fashion, a limited amount of to-go food is available at breakfast. Ready-to-go breakfast sandwiches and overnight oats cups, in minimal packaging, are popular among time-pressed students, increasing breakfast swipes by 35%. The bottom line is that every detail about what you serve – and how you serve it – makes a big difference, especially on points of convenience, performance and sustainability.